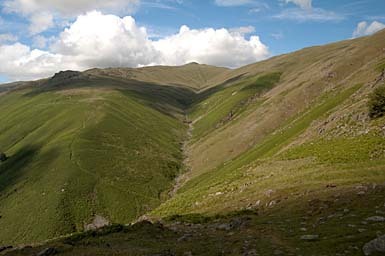 Greenhesd Gill, in the centre of the picture, leads up to the summit of Great Rigg. The prominence of Stone Arthur is on the left. Larger version of this picture.